Our new house is much older than our previous one. Very quickly we realized this meant the halls and doorways are not as wide. The largest bedroom – with the best closet – is in the basement. Alas, after much debate and many awkward attempts at shoving, we cannot fit our lovely bed in the narrow stairwell. This means that we sleep on the smaller double bed while Shiva gets to sleep on the larger, nicer bed upstairs in the spare room. That’s right, our dog literally has the best bed in the house. I wonder what the dog training bully would have to say about that. Too bad for him I don’t really care. I’ve been posting very sporadically lately, I know. There are lots of things going on worth writing on – coyotes to freak out about, nippy little dogs to rant about, cat problems to worry about – I just haven’t been mentally capable of stringing more than two sentences together. But! There is some very exciting news on the tip of my tongue that I can’t wait to share. So I will get my act together soon, I promise. ← What is on Your Dog’s Life List? Shiva looks very happy though! I’m glad to know that I’m not the only one who has had blog-itis of late. Shiva looks quite content – and who cares about certain bullies? Is the dog comfortable? Is the human’s heart warmed by the sight of the dog snoozing in comfort? Win win! Bullies be da&@ed! Can’t wait to hear the big news! I’ve been thinking about this lately, because I just read a book taking down NILIF training. We’ve never done NILIF, but it was funny to watch just how very much we *don’t* do it. Huge basket of toys where the dog can reach them? Yep. 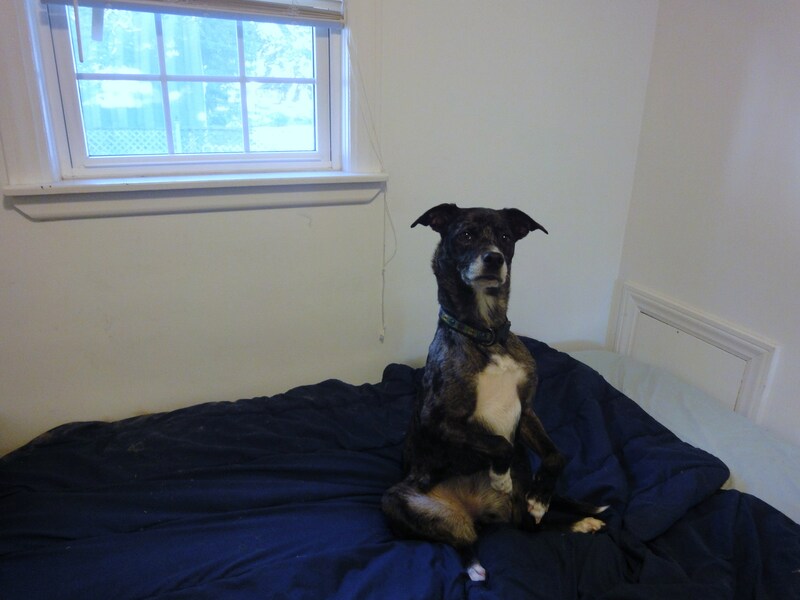 Dog on the human bed? Of course. Letting the dog win at tug? Absolutely. Feeding the dog first? By hours and hours. Giving him attention whenever he asks, unless I’m actively busy? The best. We have “real” reasons for most of that stuff and there are rules about other things, but by and large when you have a dog like Silas there’s just no point in trying so hard to be the boss. And I just read your post about the dog training bully – ugh! My brother followed the advice of a certain Mexican dog trainer and he got bit by his own dog – twice. And still he maintains how great that trainer is. 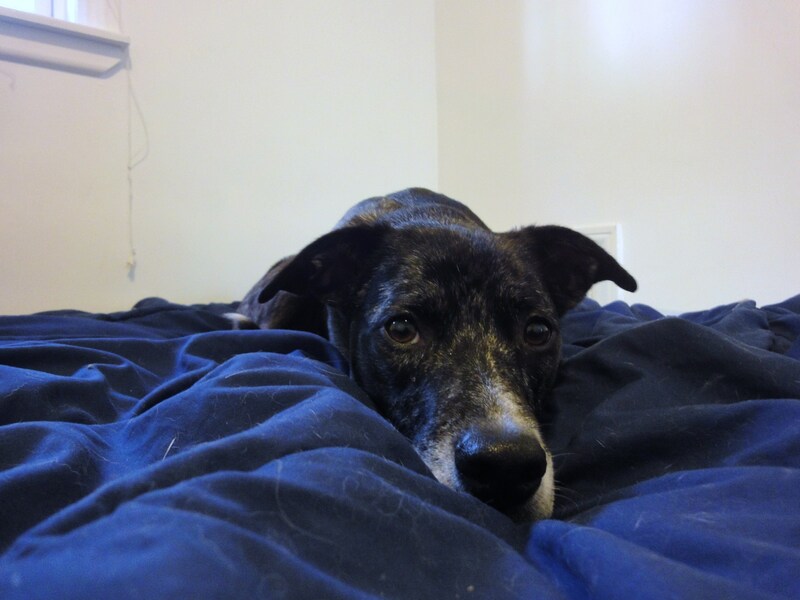 I personally prefer Tamar Geller – I’m not down with everything she says – but I used a lot of what she teaches on my large foster dog last year, and it totally worked. I’m just not a person that yells or enjoys yanking on my dog’s neck all the time. It is just much more effective – especially with Blueberry – when I am gentle but still firm with her. Can’t wait to hear your exciting news! Shiva looks like this is the natural order of things and it’s about time you both figured it out. As the woman who watched a movie last night sitting in a hard wooden chair because Cherie and Honey looked so comfy on the couch, I got a good giggle out of this post. Sorry you had to make a hard choice. Old houses do have their issues. But I’m sure Shiva feels she is getting just what she deserves. Love the first photos of Shiva. I just ordered the book I’m guessing Jessica was talking about, Plenty in life is Free. Why shouldn’t dogs get everything they want to be happy? Sleeping on the big bed? Of course! I’m sorry you couldn’t get your bed down the stairs, but hopefully you are comfortable enough. There’s always adjustments like that in a new home. Nice to hear that your transition has been mostly positive. Can’t wait to hear the news, when you have time that it. Been behind on the blogging myself…. Shiva is right where she belongs. The dog always gets the best bed in the house. That’s the law. Shall we now begin referring to her as “Princess Shiva” or “Her Majesty?” LOL! Shiva is definitely livin the life 🙂 Can’t wait to hear your news!! As it should be BOL!!! As it should be BOL!!! Hurray for Shiva, I hope that my human takes note!! Shiva has got it good! No wonder she likes the new house eh? Better bed! Love the first picture of her sitting up. Honestly, could she look more adorable? I have also been a bit sporadic. Work has been crazy busy and I have been getting home late. I am intrigued by the interesting things happening (coyotes? could that be what made Shiva freak out at the park that day?) and what’s with this exciting news? 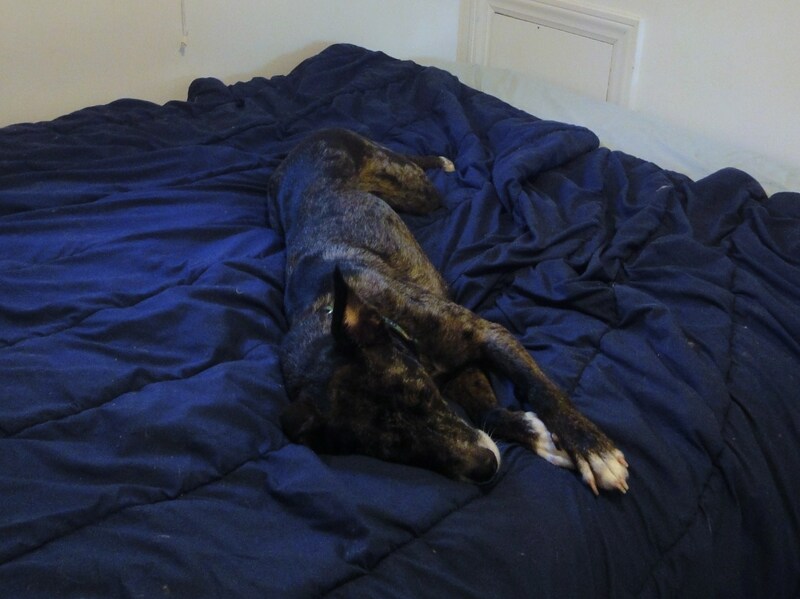 I don’t think Shiva ever said you couldn’t join her on the big bed…! Sleeping at night for us has turned into a feat of body pretzel-ing we never thought imaginable. Both dogs and now sometimes the cat, too. well shiva doesn’t mind! hehe. We have a 100 plus year old house, the bedrooms are all small. We can only fit in a full sized bed, and my hubby’s feet hang over the edge! Plus, Brooks sleeps on the floor on one side and Kelly sleeps on the floor on the other side, so it makes getting out of bed dangerous! I think it’s funny she has the best bed in the house. But a double?? WHAT? Even as a single person I want a bigger bed than that!!! aw! she deserves nothing but the best!